Aidan heads our Advisory and Audit/Accounting department and leads the delivery of these services to a wide range of clients, from family owned, mid-market and SME businesses to larger businesses, domestic and international. He has significant experience of leading engagements including accounting, audits, due diligence, and a wide range of other advisory and finance engagements. Aidan advises inbound and outbound companies, particularly around relocation, growth strategies and leads a team that provides a one stop shop for financial and accounting services to support start ups and growing businesses. Aidan has led buy-side and sell-side transactions for leading Irish and international businesses over many years and has advised on transactions such as due diligence, deal advisory, M&A, buy and sell side, IPOs, MBOs, fundraising and private equity investments. He has significant international experience and worked overseas for several years, including in the US. 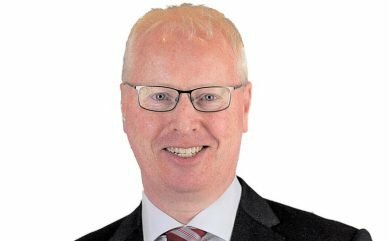 Aidan is a fellow of Chartered Accountants Ireland, a leading member of the Advisory Committee of Baker Tilly International, and other bodies.